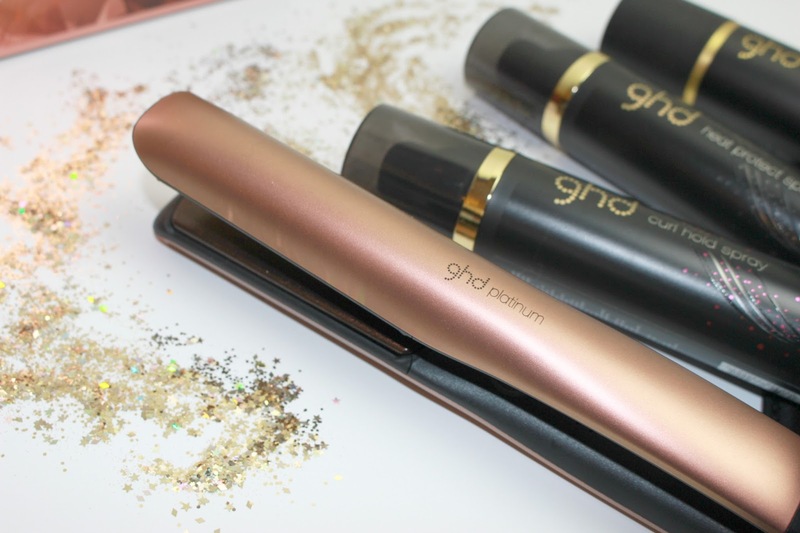 The hair tool I could never live without - ghds. The brand ghd have been in my life since I was 13 years old and I received my first pair for Christmas 2003. Until last month these were the straighteners I had used.... yes that's right - for 13 years they had been by my side! By far the best investment my parents could have made for me at that young age haha - they had seen me through the awkward teenage years, the girls night out (every weekend) years and the 'I should probably put some effort in' years! 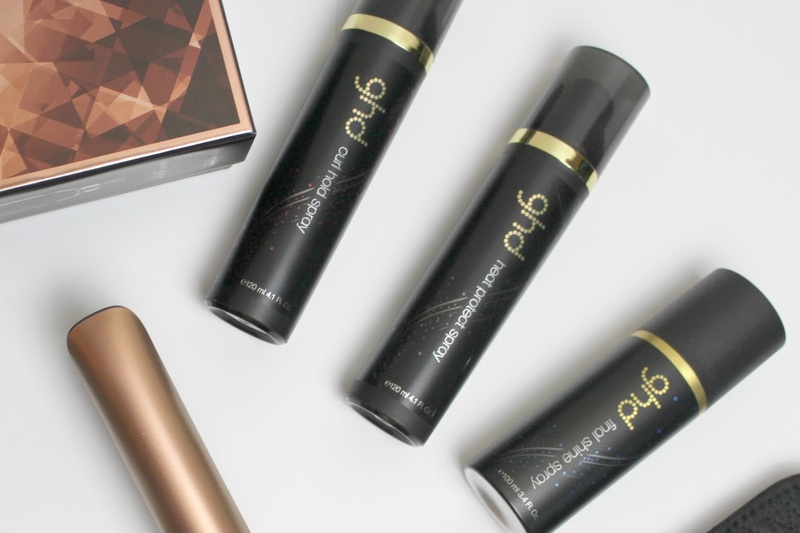 So when ghd contacted me and asked if I'd like to try out the brand new platinum copper luxe preium gift set* .... I nearly through my phone across the room with excitement! It had been that WEEK that I had been talking to my work colleagues about how long I'd had my ghd's and that it was probably time for a upgrade.... I couldn't believe the coincidence! Anyway.... back to the fun stuff! Ghd challenged me to #Glitztheseason and create a fun party look for December with the exciting new ghds and the variety of styling products they had kindly popped over! Within these products was the 'curl hold spray' so immediately I knew I wanted curls involved somehow, curling with straighteners has been a challenge for me but I think I've finally got it down! 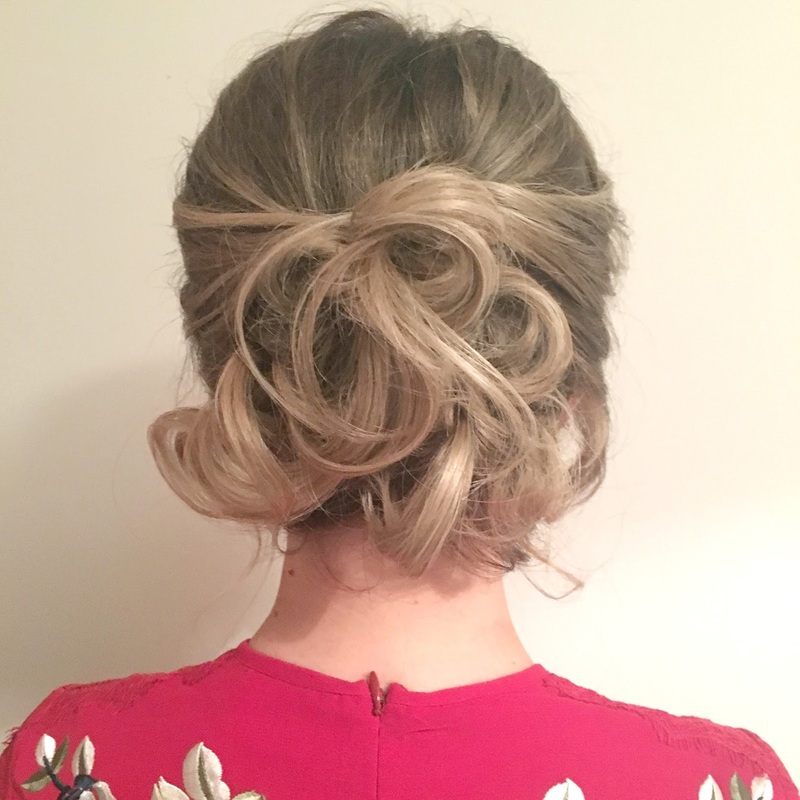 Something a different for me when going 'out out' is having my hair up - and I actually do love wearing it up, it's at that awkward growing stage at the moment so it's not short or long so UP was a no-brainer for me! The hairstyle below may look a bit fiddly and complicated.... but it really isn't! Firstly I curled my hair in the biggest bounciest curls I could manage, using the heat protect spray and then the curl hold spray to make sure they weren't going to drop! 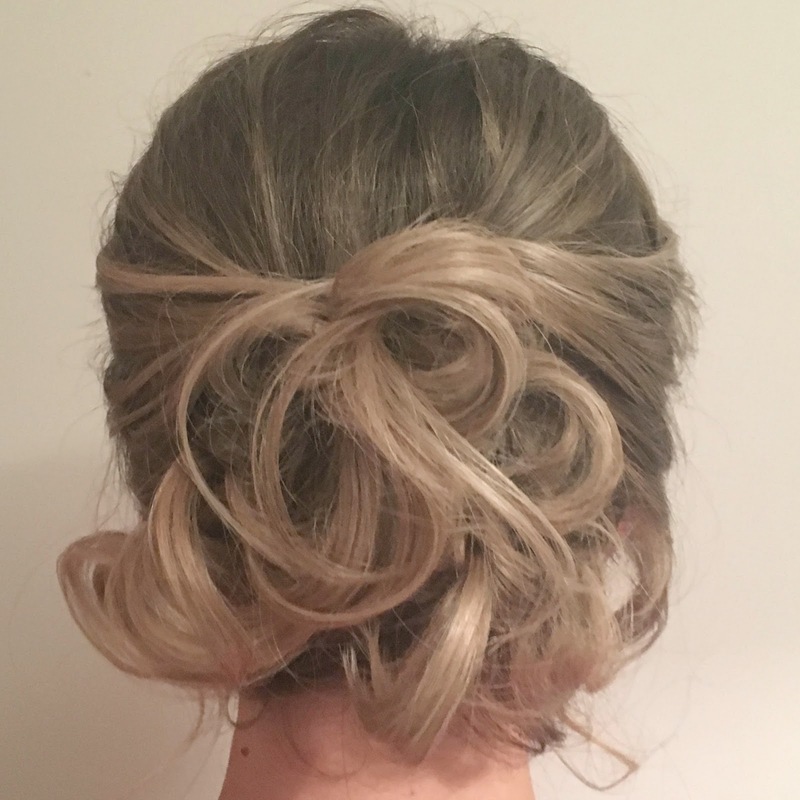 It was then time for a million hair grips, strategic placing of curls and a mountain of ghd shine spray and a tab of hairspray and ta-da a unique up-do ready for any party! Glitz yourself from head to toe a little more with a pretty detailed grips or some hair glitter! Let me know if you give it a go - so fantastic for more or less any hair length ... you might just need a few more grips and a bit more hairspray if you're blessed with super long locks! Looks awesome! I don't think I've even heard of ghd before! 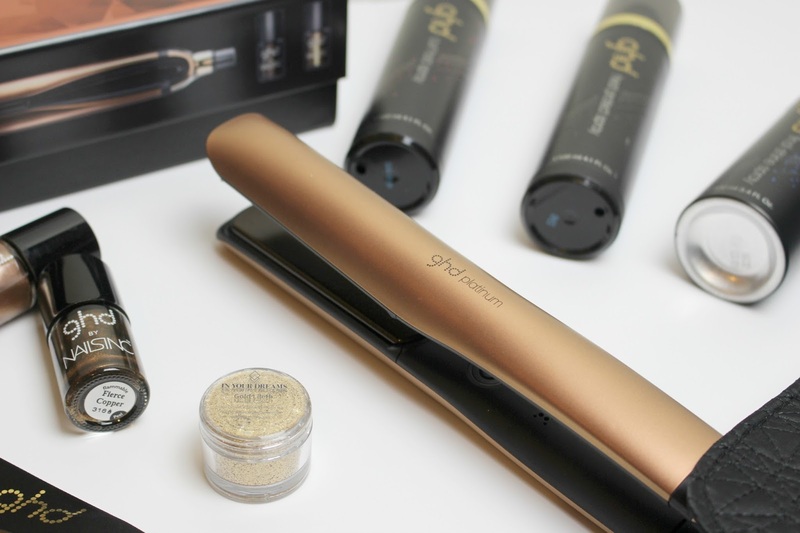 I love GHD, you can do so many styles with them and they're so easy to use. I've had mine three years and they still work perfectly. Such an amazing investment, great post! I love these copper ones! العنود هي شركة عزل خزانات بمكة المكرمة متخصصة في العديد من المجالات المختلفة و تحرص علي تقديم افضل مستوي في خدمات عزل خزانات بمكة بإستخدام أفضل مواد عزل. تمتعوا الآن بأقوي الخدمات التي تقدمها لكم كبري شركات نقل عفش الطائف و بجميع أنحاء الممكلة العربية السعودية و هي شركة الإخلاص و الآمانة . أفضل الخدمات ستحصلون عليها من خلال افضل شركة تنظيف بالمدينة المنورة و هي فرسان الخليج التي تعتبر واحدة من أهم و أكبر الشركات بالممكلة العربية حيث أنها أرخص شركة تنظيف بيوت بالمدينة المنورة و بالمملكة كلها. تصليح كافة أنواع الأجهزة من خلال مركز صيانة وايت وستنجهاوس الذي يعتبر من أقوي مراكز الصيانة و يتخصص بجميع أنواع الأجهزة و يوفر لكم مركز صيانة سامسونج أفضل قطع غيار أصلية لأي نوع جهاز كهربائي. أهم شركة صيانة في مصر هي صيانة كريازي الخط الساخن حيث يقوم فريق متخصص بأفضل الخدمات فليده كطفاءة عالية في حل جميع المشاكل و الأعطال فيقوم مركز صيانة كريازي بتقديم أفضل دورات تدريبية للعاملين . أرخص أسعار من خلال مركز صيانة فريجيدير الذي يضم العديد من الفروع علي مستوي المحافظات كما يقدم لكم مركز صيانة جليم جاز أعفلي مستوي خدمات حيث يملك فريق من مهندسين و فنيين متخصصين. يمكنكم من خلال شركة سوقني أن تقوموا بالحصول علي أفضل تصميم مواقع انترنت من خلال فريق تصميم مواقع متخصص بالمجال يملك خبرة علي مدار سنوات.